Vegamian, 13, 24007 Leon, Spanje. 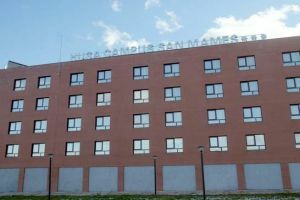 Flats next to the university campus from Leon. 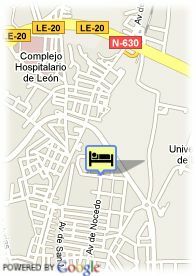 This appartments complex is situated in the Veganza university campus, around ten minutes away from the old town and the cathedral of Leon. The flats are fully equipped with all the needs necessary for the guests' comfort and decorated in a functional and stylish manner. All of them are exterior and have American kitchen. Among its usual facilities stands out a teracce of more than five hundred square metres. The establishment is situated at just two kilometres far from the city centre, at three kilometers from the railways station and at eight from the airport. The closest bus station is three hundred metres away.